Farm Fresh Strawberries . . . YUM!! 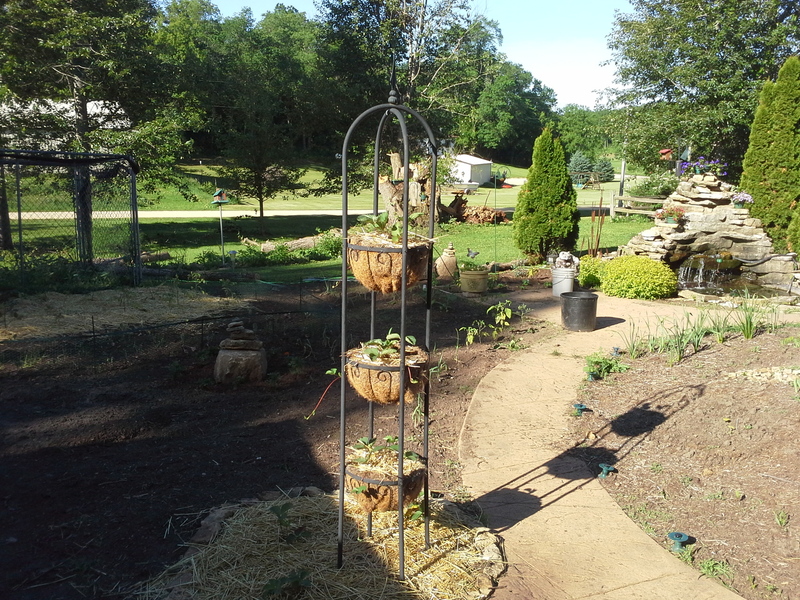 I picked up an obelisk planter a couple of years ago with the intention of planting hanging strawberries. It is now in place and filled with plants I transferred from our previous house. I doubt I’ll get any berries this year, so I was excited to see the ad in our local paper for berries picked per order. 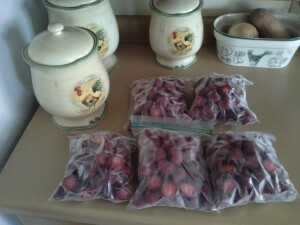 The next morning I set out to freeze my berries. My mother and grandmother would make jam out of half of the berries they collected during the season, the rest would be cut up and froze with a bit of sugar added. I prefer the same method I use for blueberries, which is to freeze them whole without sugar. Washed, cored, and run through the salad/berry spinner to get rid of excess moister, the berries are spread onto a cookie sheet for a trip to the freezer. 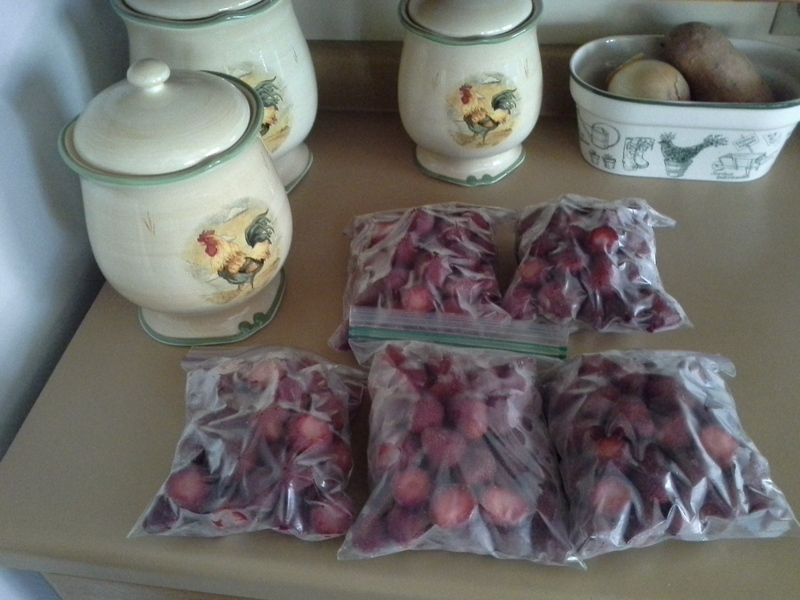 Once they’ve hardened (takes about three hours) it’s time to bag them up. 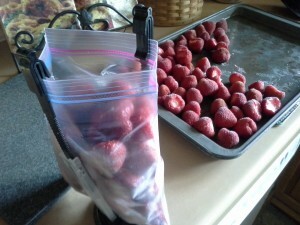 I prefer this method since it allows me to take out the number of berries I need without thawing an entire bag. My dear friend Kathy turned me onto this handy little bag holder. 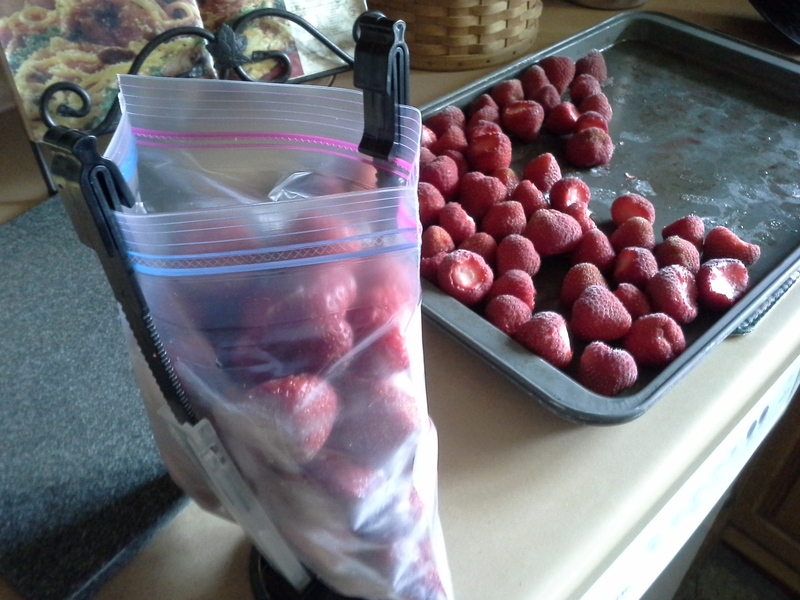 It has a suction cup on the bottom and easily adjusts for gallon size bags. Five quarts out of six for the freezer. Half of that sixth quart is still in the fridge, I doubt it will last the day. The other half . 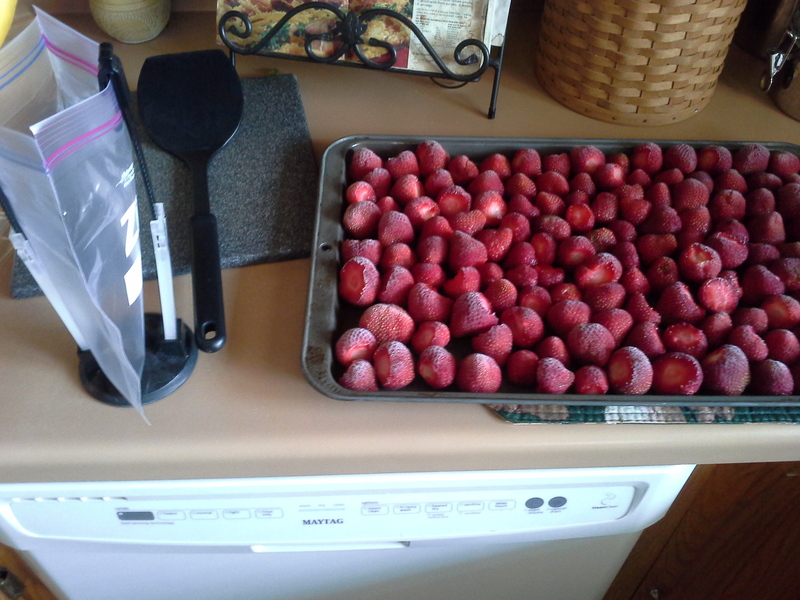 . . well a person gets hungry processing berries! I think I’ll be making another call to our local farmer. Although that can wait until tomorrow. 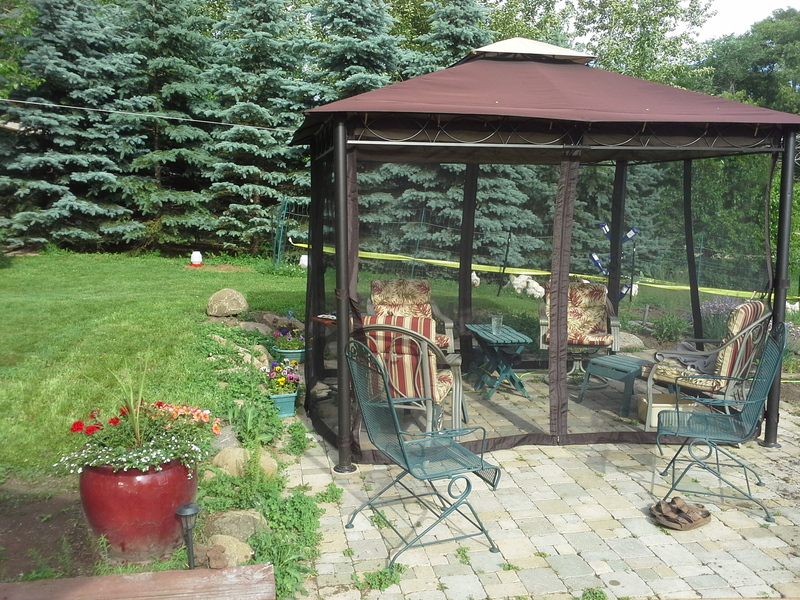 For now, I think I’ll take a break in our newly assembled screen house and ponder what to plant next in the kitchen garden. 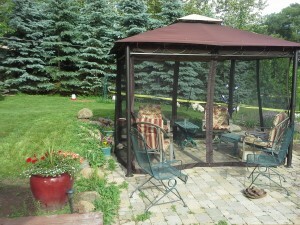 ← The many uses of a solarium. You rock! Thanks for the call-out! 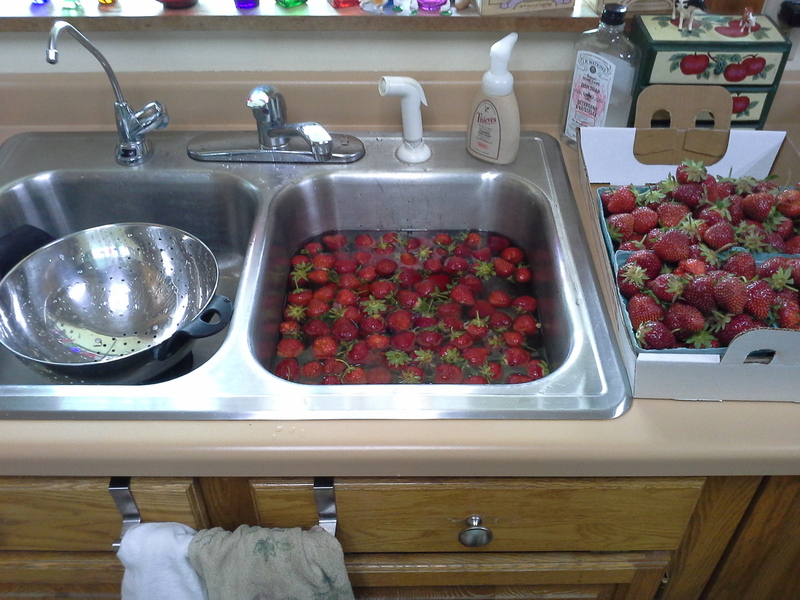 I will be doing the same thing at some point but it is too early up here for ripe strawberries yet. Good luck with is years garden! It’s sounds like your summer is as busy as ours. Now if Mother Nature would give us a wee bit of a break I could get ahead of the weeds. Good luck to you too! We picked and processed strawberries yesterday. 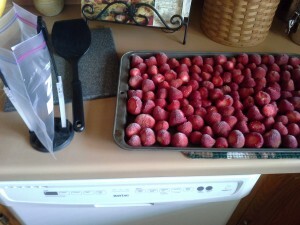 In addition to freezing them, we made strawberry “syrup” for pancakes, waffles, and ice cream. 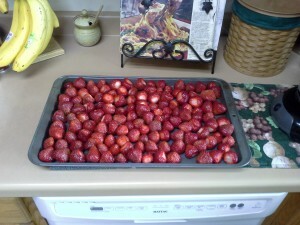 The berries are so sweet this year that we didn’t add much sugar. Cara, so glad you checked in! You’re right this has been a great year for the berries. My blackberry bushes are loaded, now they just need a few days of sunshine.